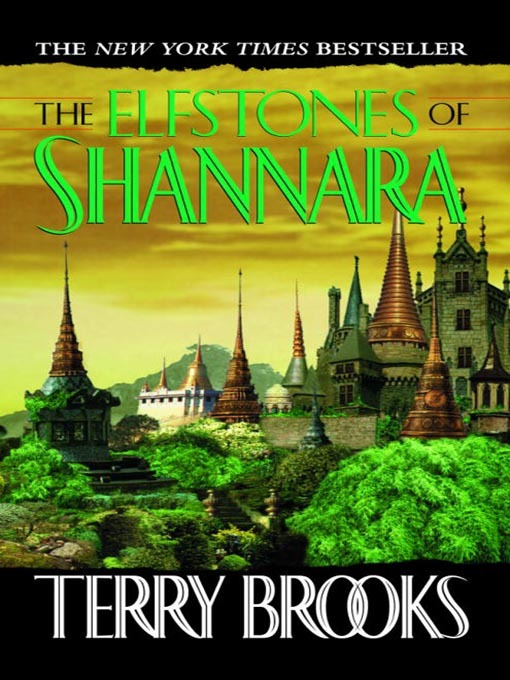 In case you weren’t already aware, there is a television series in the works based on Terry Brooks’ sprawling Shannara series of fantasy novels. The series will be titled “The Shannara Chronicles” and is being produced by MTV. It’s scheduled for release sometime this year. This feels like the sort of thing I should be celebrating. I’m desperate for some quality high fantasy television, a terribly under-served niche, and I’ve been a Shannara fan since I was a kid. But there are several things about this that are just making my heart sink. Firstly, MTV. Need I say more? If I was going to make a list of networks I trust to make a quality, serious fantasy series, MTV would be waaaay near the bottom. I don’t like judging products by their pedigree too much, and I won’t say that MTV’s involvement means this series is doomed, but it doesn’t inspire one to confidence. The other main problem is what they’ve picked as the source material. The series will be based on The Elfstones of Shannara, the second book of the original trilogy. It’s a seemingly arbitrary choice, and it strikes me as a pretty poor one. It’s not the worst book they could have chosen, but I’m only saying that because The Wishsong of Shannara exists. They’ve chosen to throw themselves into a worst of both worlds scenario by starting in the middle of the story and not jumping ahead enough to get to the really interesting Shannara stories. See, the Shannara franchise begun as a supremely generic — if still well-executed — high fantasy story. The first book, The Sword of Shannara, was pretty much a pure Lord of the Rings rip-off. Over time, the Shannara series started to develop a lot more personality, incorporating aspects of magitech and science fantasy while also developing the history and culture of the Four Lands very well. But that hadn’t yet begun in The Elfstones of Shannara. While it wasn’t as transparent a Tolkien knock-off as the first book, it was still a very generic high fantasy with little to distinguish it from the pack. But it is book two, which means newcomers to the franchise will be lost as to why the Ohmsford family is so important or what the backstory of the world is. Unless MTV wants to butcher the history of the series and just ignore the events of the first book. I’m also not sure how they intend to get a full TV series from one relatively short book, unless they want to stretch out the story endlessly, which would get boring very fast, or start over with a new cast and story every season, which seems very foolhardy from a marketing and financing perspective. If they wanted to go to the original trilogy, I really think starting with Sword would have been the best bet, even if it is obviously similar to Lord of the Rings. It gives people a good introduction to the world of Shannara, and it was the best of the first three books, derivative or not. But the really smart thing to do would have been to go with something even later in the franchise. The second major series, The Heritage of Shannara, was where the Shannara series really came into its own. It had a much bigger and more cohesive story, and it transformed the Four Lands into much more than a weak Middle-Earth knock-off. If I had a magic wand, I’d do a TV series based on Genesis of Shannara, as it was by far the most original and powerful of Brooks’ novels, but its bizarre mash-up of high fantasy, urban fantasy, and post-apocalyptic sci-fi is probably a little too unusual for the average viewer. So Heritage seems like the best choice. There are other compelling options. The Voyage of the Jerle Shannara would also make a good TV show. A wild adventure into the unknown to battle a lizard monster, a crazy witch, and a freaky Borg-esque supercomputer? I’d watch. Really, there are so many better choices than Elfstones. I don’t understand what they were thinking. It doesn’t even feature the most interesting aspect of the entire Shannara franchise, the sword of truth itself. I want to believe the Shannara TV series will be good, but there’s just so little to give me any hope right now. This entry was posted in Misc. and tagged fantasy, Shannara, TV by Tyler F.M. Edwards. Bookmark the permalink. I’ve only ever read the first 3 books. I started with Wishsong (found it randomly in my dad’s house) and found the first 2 books afterwards. Is it worthwhile going after all the other books in the series? Wishsong was definitely my favorite. Definitely. The series got much better later on. 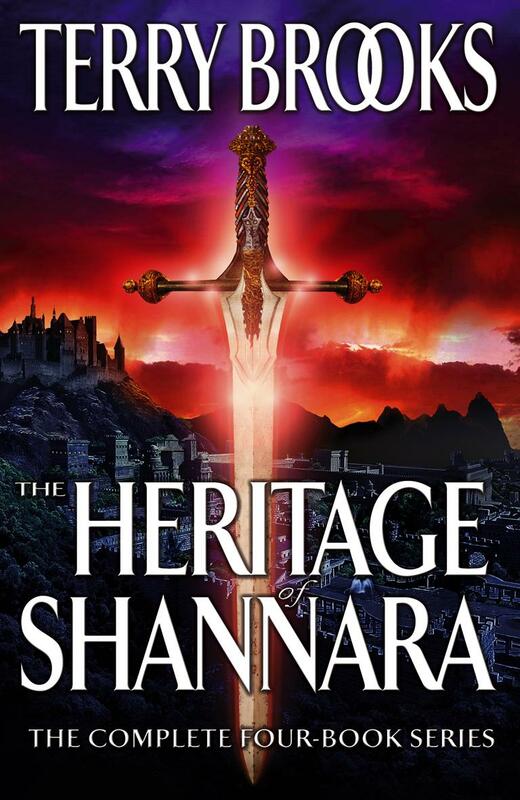 Now, he’s been churning out the books forever, and the more recent stuff has started to get kind of repetitive, but at the very least, Heritage of Shannara and Genesis of Shannara are absolutely worth your time. Those were excellent. The Voyage of the Jerle Shannara, First King of Shannara, and to a lesser extent High Druid of Shannara were also decent. I think Elfstones is a great place to start. As you say Sword is Lord of the Rings “Rip-off”. The “story” in itself was a little long winded and predictable. Since the story isn’t new I think they will handle this with Flashbacks or spoken Backstory that shouldn’t take too long and not leave any holes in the Elfstones storyline. From the presentation I saw from Comicon I can’t wait. I am with you though, I hope I’m not disappointed like when Goodkind’s Legend of the Seeker was made. The Comic Con trailer did LOOK very good, but it didn’t really tell us much about what the story will be like. I’d like to be hopeful, but right now my skepticism remains high.